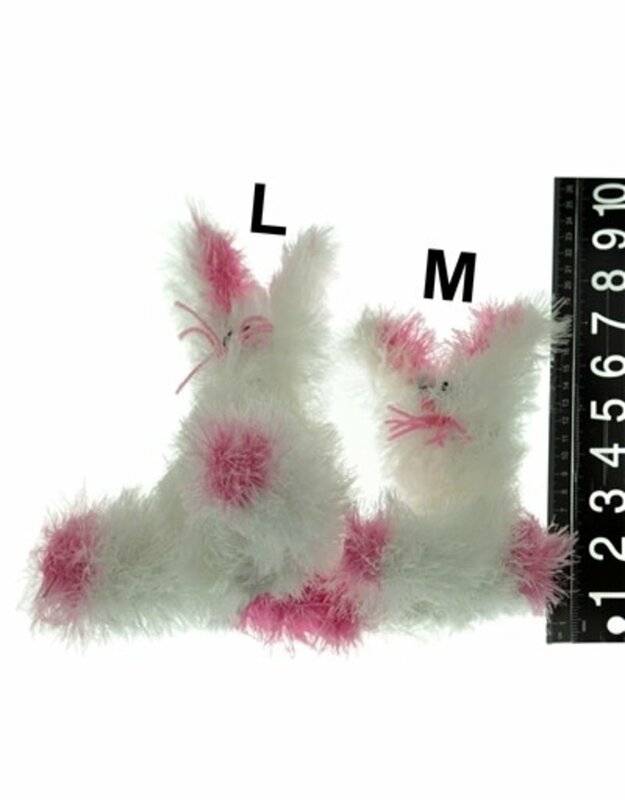 Size: * M 6" L 8"
It’s not Spring without bunnies in the garden -whether they’re real live cottontails or our very own little pink and white fur balls! 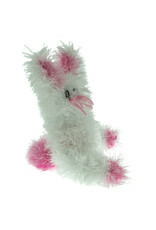 Hand-crocheted in white ‘funky fur yarn’ with happy pink ears and whiskers, the bunny toy is perfect for any season. 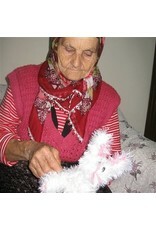 Don’t worry about a mess, since all of OoMaLoos's hand-knit toys are designed to be machine-washable. Dogs love the soft, furry texture and nice loud squeaker! Whether you put it in an Easter basket or just give it as a springtime treat, your dog is sure to have a blast tugging, fetching, or even just squeaking. 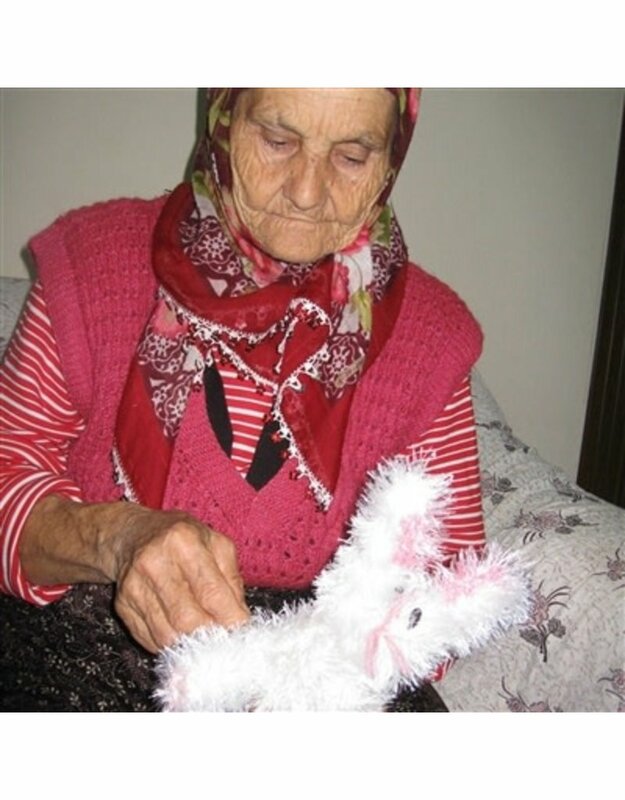 All OoMaLoo dog toys are hand-made with care for maximum durability. 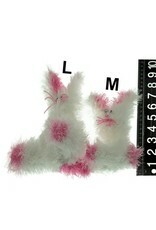 The ‘furry’ portions, made of a high-quality, non-shedding polyester yarn, are especially strong and long-lasting. Design features and details are done in a contrasting acrylic yarn to bring life to the toys. Each dog toy also contains at least one industrial-strength squeaker, made of non-toxic materials and exclusively designed for OoMaLoo. Dogs love not just the furry texture of the toys, but also the responsive squeak that comes with each bite.